The University of Pennsylvania Museum of Archaeology and Anthropology deplores the devastating, ongoing destruction of cultural heritage in Iraq and Syria. The continued pillaging of archaeological sites and the destruction of irreplaceable artifacts and monuments are a catastrophe for the people of the region and for all humanity. As an institution dedicated to studying, preserving, understanding, and sharing knowledge of the world’s rich and diverse cultural heritage—and with an especially strong history of work and study in Iraq—the Penn Museum particularly laments the destruction of archaeological sites, museums, and libraries in and around Mosul. Alongside our colleagues throughout the world, we urge the international community and all relevant organizations to do all they can to find solutions to halt this abhorrent destruction. The Penn Museum is actively involved in this pursuit through its Penn Cultural Heritage Center (PennCHC) which is a partner of Safeguarding the Heritage of Syria and Iraq Project (SHOSI), a consortium of the PennCHC; the Office of the Under Secretary for History, Art, and Culture at the Smithsonian Institution; the Geospatial Technologies Project at the American Association for the Advancement of Science; Shawnee State University; The Day After, a Syrian NGO; and the U.S. Institute of Peace. The SHOSI Project supports the efforts of heritage professionals and local communities in Syria and Iraq, who are working under dire circumstances to protect their cultural heritage for the future. The SHOSI Project’s ongoing work includes working with displaced heritage professionals and community members who are attempting to preserve cultural heritage, documenting high-risk sites in Syria and Iraq, first-aid conservation treatment of damaged sites, geospatial site monitoring, and periodic workshops and training activities. For the original statement, visit the Penn Museum website. On March 10, 2015, cultural activist Jabbar Jaafar and archaeologist Abdulameer al-Hamdani kicked off the first event of their campaign in response to an ISIS video that showed members of the terrorist group smashing irreplaceable artifacts, relics, and statues at the Mosul Museum. The March 10 event was a public gathering in front of the White House. Although it took place on a rainy day, a number of American and Iraqi activists and supporters attended the noon gathering to express their solidarity with the co-organizers. 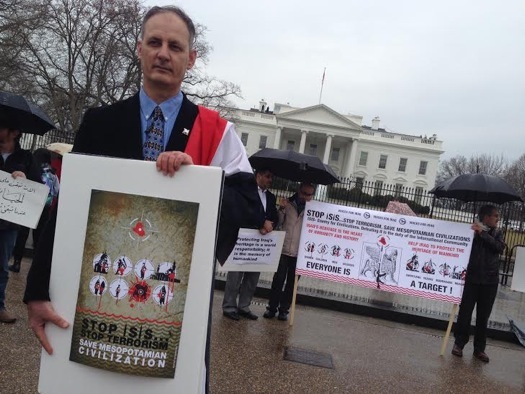 The objectives for the gathering were: (1) to urge and pressure the policy and decision makers in order to take immediate action against the terrorist group ISIS; (2) to familiarize a general audience in the United States with the savage and uncivilized acts that ISIS has performed against the people of Iraq and their heritage; (3) to inform the international community that Iraqis are civilized people who love their heritage and are determined to exert every effort to preserve their civilizations; and (4) to state that what is rumored by ISIS, that the statutes and relics of the ancient civilizations are forbidden by Islam, is absolutely untrue according to senior moderate Islam clerics. The Royal Ontario Museum (ROM) condemns, in the strongest possible terms, the deliberate destruction of archaeological sites and museum collections, as well as the systematic looting and sale of artifacts in northern Iraq by the “Islamic State of Iraq and Syria/Lebanon” (ISIS/ISIL). This destruction, occurring at an unprecedented scale, represents an irreparable loss of cultural heritage – not only for Iraq but for all humanity. Since taking over Mosul province in June 2014, ISIS/ISIL has systematically destroyed monuments of cultural and religious significance, including mosques, shrines, churches, and temples. More recently, their focus turned towards indiscriminately attacking archaeological sites and museums. In late February, members of ISIS/ISIL engaged in the large-scale destruction of artifacts in Mosul Museum, Iraq’s second largest museum. These artifacts include reliefs and statuary from the Assyrian capitals of Nimrud and Nineveh (900 – 612 BC), and a large number of statues of kings and gods from Hatra dating to the Parthian period (300 BC – 100 AD). In early March, the attention of ISIS/ISIL turned to archaeological sites themselves, including those of Nineveh, Nimrud, Hatra and Khorsabad, Assyria’s capital during the reign of Sargon II (721-705 BC). The destruction of some of the world’s most important archaeological treasures is a vile attack on the cultural heritage of all people. The Royal Ontario Museum is ready and committed to share its resources to help assess and limit the damage to archaeological sites and monuments, and to stop the sale of looted artifacts from Iraq. We call upon everybody to voice their concerns regarding the ongoing cultural devastation by ISIS/ISIL to political leaders and, further, to report to the authorities any suspicious appearances of cultural artifacts from Iraq on the antiquities market. For the original statement, please visit the Royal Ontario Museum’s website. The Executive Committee and members of the World Archaeological Congress (WAC) join other archaeological and cultural heritage organizations in denouncing the recent destruction of ancient artifacts at the Mosul Museum and architecture at Nimrud in Iraq. As noted in the recently published WAC Dead Sea Accord on the Protection of Cultural Property in the Event of Armed Conflict, it is a foundational belief of WAC that the expression and preservation of culture, both tangible and intangible, are basic human rights. Material culture informs our collective and individual identities and reflects the histories and experiences of humanity. Therefore the destruction of antiquities at the Mosul Museum and Nimrud has caused lasting harm to the people of Iraq and the entire world. WAC calls on its membership to assist archaeological and other communities in this time of need by offering preservation assistance or other help. We also call on States and other parties to bolster and support legislation, at all levels, aimed at protecting the human right to culture and cultural heritage. Finally, WAC wishes to highlight the roles cultural heritage can play in reconciliation and education in today’s world riddled with conflicts. Cultural heritage is the embodiment of human experiences that include suffering from, coming to terms with, and solving conflicts of various natures and scales. We should put our knowledge and efforts together to prevent the destruction of cultural heritage of this nature from happening again and protect our common human heritage. For the original statement, visit the WAC website. Click here for the text of the Dead Sea Accord. The British Institute for the Study of Iraq (BISI) greatly regrets the appalling damage that has been done to statues and reliefs in the Mosul Museum, to Assyrian gateway figures at Nineveh, and to the ancient sites of Nimrud and Hatra. 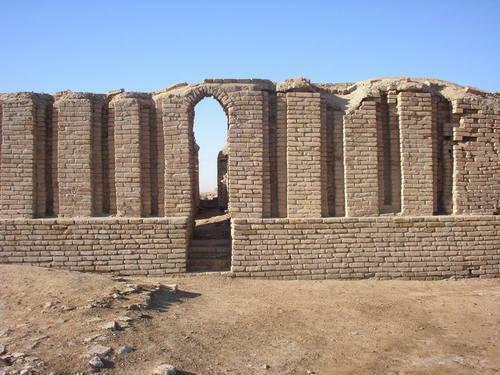 This is a cultural disaster of the greatest magnitude, and BISI urges the international community including UN and UNESCO to give all possible assistance to the government of Iraq in its struggle to protect the unique and irreplaceable heritage of Iraq. Visit the BISI website for the original statement. The deliberate vandalism and destruction of heritage from Mosul’s Library, the Mosul Museum, and the archaeological site of Nineveh at Mosul constitute a moral and cultural outrage that adds to the growing spiral of despair from both Iraq and Syria concerning heritage, looting, and damage due to armed conflict. Without the past, we cannot understand our present, and without understanding our present, we cannot plan for our future. We hope that whatever remnants of this shattered heritage still surviving in Mosul may be salvaged and restored, but it is already clear that so much has been irreparably destroyed or looted. Mosul’s heritage is an important part of Mesopotamian civilization and the heritage of the entire world. The Oriental Institute of the University of Chicago is a leading institution for the study of the ancient Middle East that focuses on research, heritage and knowledge preservation, and public education. Iconic artifacts from Iraq on display in the Museum of the Oriental Institute are accessible today for all to see. Many are counterparts to objects on display in the Iraq Museum, Baghdad, that come from the Oriental Institute’s excavations in Iraq. The Oriental Institute’s colossal human-headed winged bull, or Lamassu, was excavated from Khorsabad, ancient Dur Sharrukin, several miles north of Mosul. Carved in the late eighth century BC during the reign of King Sargon II (721–705 BC), it is one of the finest examples of Assyrian sculptor’s art in the world. At the site of Nineveh and in the Mosul Museum, similar sculptures have been smashed and mutilated in minutes by the Islamic State. The Oriental Institute condemns this callous eradication of the cultural treasures of Mesopotamia. We extend our deepest sympathies to the families of the people who are suffering in northern Iraq and Syria, and offer our support to the archaeological and heritage community of Iraq to help document, salvage, and restore the heritage of Mosul and other provinces of Iraq affected by looting and destruction. We support the joint statement published by the Association of Art Museum Directors (AAMD), the Archaeological Institute of America (AIA), and the Society for American Archaeology (SAA), as well as statements from the American Schools of Oriental Research (ASOR) and The American Academic Research Institute in Iraq (TAARII). Visit the Oriental Institute’s website for the original statement. The Association of Art Museum Directors (AAMD), Archaeological Institute of America (AIA), Society for American Archaeology (SAA), and the American Schools of Oriental Research (ASOR) released the following joint statement in response to news reports of the destruction of a gate of Nineveh and other works of ancient art in the Mosul Museum, Iraq. The members of the Association of Art Museum Directors (AAMD), Archaeological Institute of America (AIA), Society for American Archaeology (SAA), and the American Schools of Oriental Research (ASOR) deplore in the strongest possible terms the destruction of works of art held by the Mosul Museum. Pillaging of archaeological sites and cultural repositories to destroy irreplaceable cultural heritage and to disperse rare and important artifacts is reprehensible. 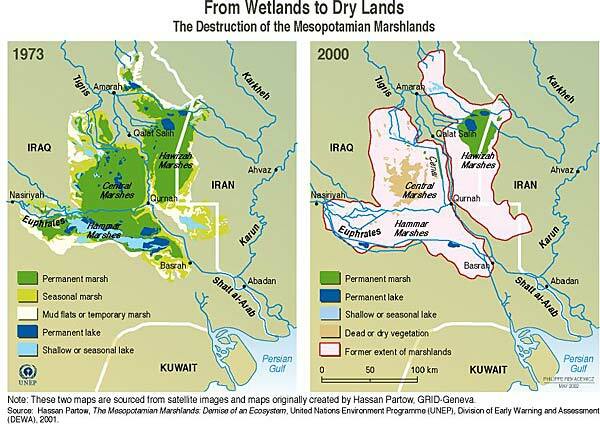 This has caused irreparable damage to the heritage of the people of Iraq and humanity worldwide. Visit here for a full copy of the statement. Blue Shield is concerned that archaeological and cultural objects may be removed from museums, libraries, archives, and archaeological sites and placed on the illegal international art market. The actions of all governments in preserving this heritage should be consistent with the terms and spirit of the 1970 UNESCO Convention on the Means of Prohibiting and Preventing the Illicit Import, Export and Transfer of Ownership of Cultural Property, of which there are ninety-six States Parties. Blue Shield implores auction houses and other art outlets to ensure that no illegally exported material is sold. Blue Shield intervenes strategically with decisionmakers and relevant international organisations to prevent and to respond to natural and man made disasters.